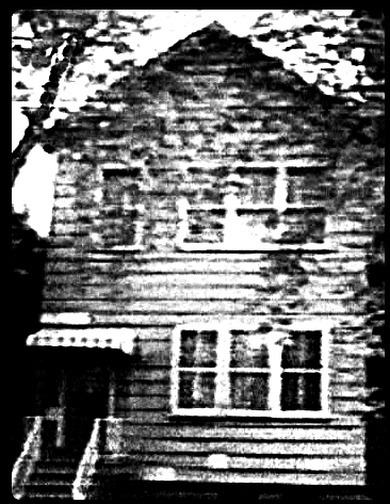 In the 1970s when it was still very much taboo to talk about ghosts one families story of living in a haunted house in the inner city of Chicago, Illinois was aired on NBC news. 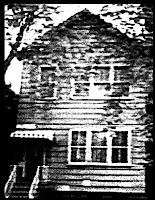 A news reporter Carole Simpson interviewed a young family named Becker who claimed that the house they lived in was haunted by several ghosts. Simpson’s interview was televised in the Becker’s living room and was the first exorcism to be broadcast live. This exorcism was performed by a medium, Joseph DeLouise who had been one of only a handful who had responded to the Becker’s pleas for help and the Rev. William Deri-Davies. I have placed the original video of this NBC news story below. This broadcast in the early 1970s is very unique considering the term “paranormal” was not used very often at that time. Ten years later Edwin Becker wrote about what he and his family had experienced in this house. Several publishers were interested in his book but they all wanted him to spice up or embellish what had happened. To Becker’s credit he refused to do this. Which makes his story more compelling in my eyes. 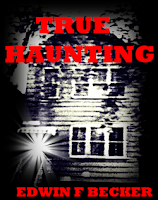 Instead, Becker chose to self-publish his book entitled, True Haunting. His eBook is available on Nook and Kindle etc. It is a well-written account of a very scary haunting. Edward Becker, his wife and their infant daughter in 1970 moved into a two-story house that had been converted into apartments. Little did he know that his life and his families were about to become as he put it “a living nightmare”. Becker not a believer in ghosts knew the house had a sorted history. Five people, all related had died in the home. Two died on each floor and one in the basement. Two of the deaths were known to be suicides and one other was suspected to be a murder. All five people who had died in the house were considered, “mental deviates” --to use a term from that time. The most recent death in the home had occurred just before the Becker family moved in. A man by the name of “Ben” who had the seedy hobby of making his own pornographic materials had been found dead. The house was put on the market for a cheap price. Edwin Becker logically felt that fresh paint and a new carpet would wipe out the initial oppressive sense or feel he got when he first walked through the empty building. He stated later that his arrogance was to cost him dearly. Almost immediately after the Becker family moved in unnatural things started to occur. For the ghosts in the house wanted their presence to be known. Room doors and cabinet doors slammed violently shut. Footsteps were heard at the back of the house both day and night. Horrifying screams were heard throughout the house. The phone would rise up, hover in mid-air for several minutes, and then crash down. The kitchen mixer affixed to a wall would fling itself across the room. Keys to the various doors in the home were found misplaced. Several when found were bent and twisted out of shape. Unseen hands picked up the families’ pet cat, held it out the second floor window and then dropped it twenty feet to the pavement below. The Becker family becoming desperate and finding most did not believe their story had a priest come in to bless the house. During his visit his brass container that held his holy water shattered all over one room. He refused to enter the home again. Most of their friends professing not to believe them still refused to visit them. Becker’s best friend, a visually impaired man, told him that he sensed presences throughout the home and that he heard a variety of voices. In the end Edward Becker admits that he was very naive. He at first flippantly taunted and mocked these spirits as if it were a game. Later he realized this probably spurred their resentment against him and his family. He admits in his book that he allowed these ghosts to figure out where he was emotionally vulnerable and they used this information against him. He finally understood that the ghosts considered him and his family the intruders. This YouTube video is of the Simpson interview and the exorcism performed. The tape is old so it skips. Did a UFO fly over the 2012 Summer Olympics?